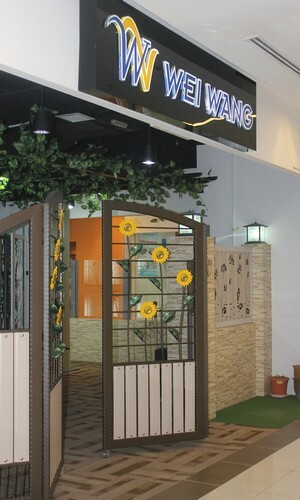 Wei WangTM founded in 2000 and has been established for more than 10 years. In the initial stage, it Started in production of wrought iron products. With high qualities of leadership, after years of hard work and effort, the company has consolidated its reputation and position in the industry. Yet, the ways to uphold our business philosophy are: high quality of production, reasonable pricing and good customer service. Wood Product Pergola and etc. At the same time, we also provide custom-designed service to meet customers’ needs and make higher qualities of products. In addition, strict adherence to handmade forging production of every piece of product is our principal. In order to provide a higher quality of production line, a spacious factory is established in Balakong Jaya. Besides, we also have an outstanding designers and professional production technicians team. Our skilled technicians are proficient in the use of equipment and put in effort to make meticulous works. It is because we understanding the need of having an unique work can make your home more excellent looking. Since the company was established, our technology, management and product integration are in continuous evolution and improvement. Our goals are to provide customers with variety of high quality products and perfect after-sales services. "We believe Wei WangTM is definitely your best choice!"